Jeff is a seasoned entrepreneur, imagineer and serial investor with strong financial, corporate, marketing and leadership skills. 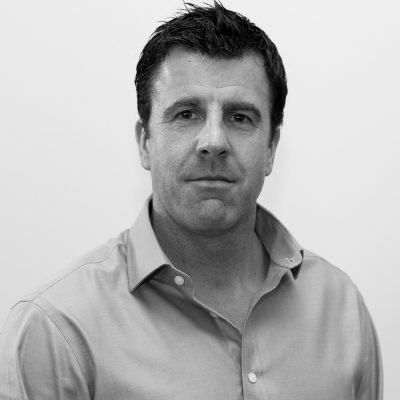 With over 30 years’ experience as both a principal and investor in public and private enterprises, Jeff has a track record in Digital, Information Technology, Real Estate, Logistics and Entertainment working across the UK, Europe and the USA, with a passion for creating and developing social impact. A visionary commentator on all things digital and data, Jeff seeks to amplify the art of the possible through research, education and practice; accelerating positive disruption through new services and models focused on the provision of responsible infrastructure. John is a successful individual who has a well-established record of achieving throughout his life, whether it be through a long and distinguished rugby-playing career or in highly successful data, software development, sports and leadership businesses. A highly skilled and well known and respected leader of people who are held in high regard within business and sport, he is someone who has clearly demonstrated the skills required in building and managing diverse groups of people and building businesses both in the UK and abroad. Mike is a British Army veteran who served for over 26 years in operations around the world. His time in the military saw him work in many countries, including the Balkan states; Angola; Canada; the Falkland Islands and extensively in Afghanistan and Northern Ireland. Prior to concluding his time with HM Forces, Mike was selected as Regimental Sergeant Major and deployed to Afghanistan with the Explosive Ordnance Disposal and Search Task Force. An eye for detail and a passionate approach towards commanding throughout a magnificent career was formally recognised when he was included in the 2014 New Year’s Honours and Awards. In 2016, he formed Leadership Challenges, and as Chief Operating Officer Mike leverages his wealth of experience to build key relationships that form the basis of world class challenges. Mike has also guided elite teams to success in the Race Across America (RAAM), one of the world’s toughest endurance cycling events and was behind the success of Marks Beaumont’s 80 Days record breaking cycle challenge. Jo is a Royal Navy veteran, with a background in naval communications, information systems and IT project management. Joining the navy before women went to sea, she volunteered as soon as possible, and was amongst the first WRNS to re-train and serve on an HM warship. Her military career saw her travel to many different parts of the world, including the USA, Falkland Islands, Caribbean islands, South America and Western & Northern Europe. Jo has more recently lived in Gibraltar and the USA. Within Leadership Challenges, Jo uses her organisational experience and love of travel to deliver the logistics and resources needed for teams taking part in their world class challenges, ensuring that no plan detail is left unresolved. Jo has guided elite teams to success in RAAM, not only resourcing the challenge, but leading teams across the USA as crew chief twice. Working closely during the planning phase of Mark Beaumont’s 80 Days record breaking cycle challenge, she also accompanied him as part of the support crew during the USA/Canada and European stages.